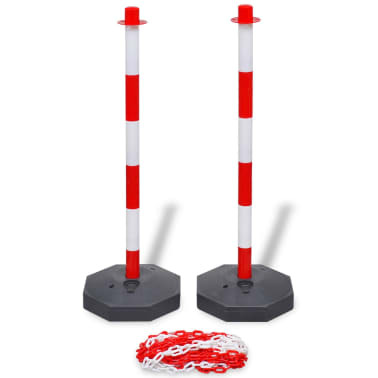 This chain post set, with 2 posts and a 10 m plastic chain, is designed as an economical but effective means to cordon off certain areas. It is suitable for car parks, warehouses, public spaces and private roads, etc. 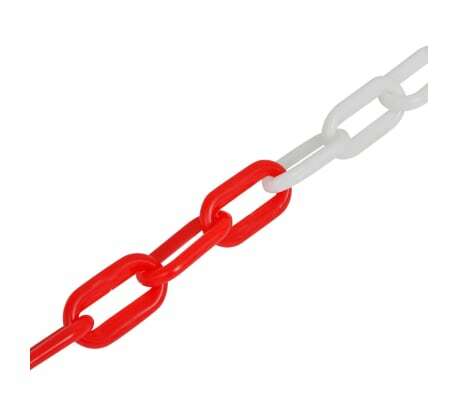 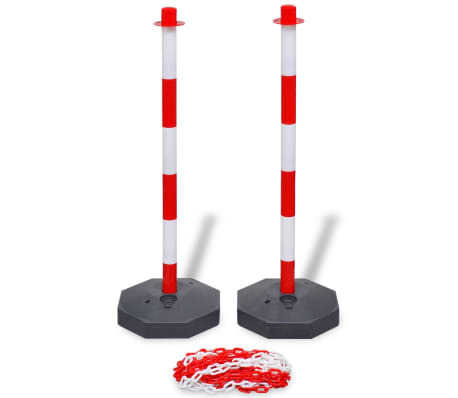 The 10 m plastic chain can be easily attached to the traffic posts to create a restricted area. The chain posts are light in weight, thus very portable. 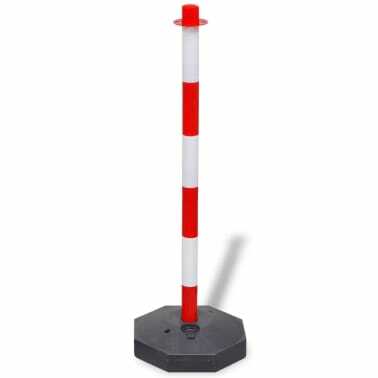 For added stability, the included base can be filled with water or sand. 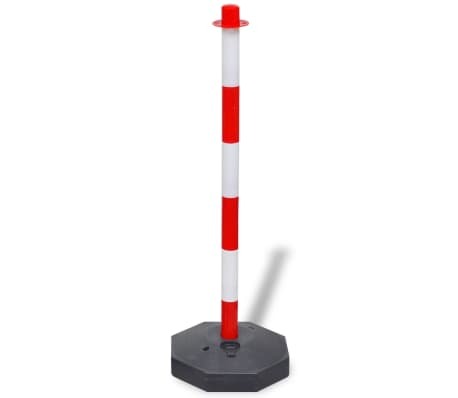 The bright red and white colours make the traffic post set highly visible. 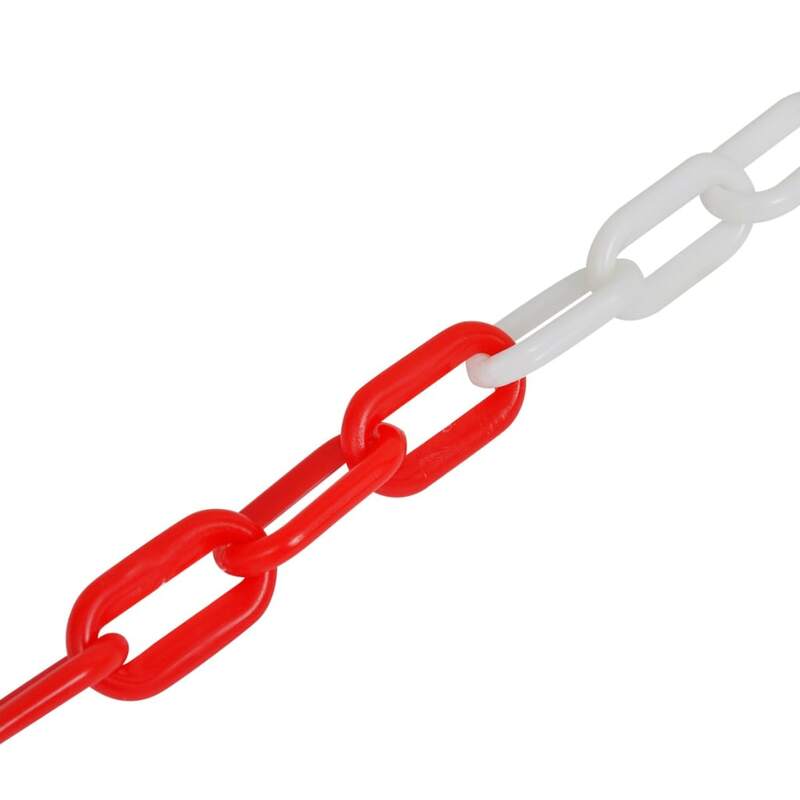 Delivery includes 2 chain posts and a 10 m plastic chain.